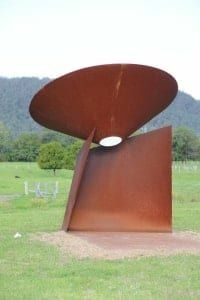 Braddon Snape is a Newcastle based artist who specializes in three-dimensional practice, large-scale Public Artworks and Lectures in Sculpture at The University of Newcastle and The University of NSW. Braddon has developed a practice over 25 years that encompasses sculpture and installation in a diverse range of media. Highlights include participation in Sculpture by the Sea seven times, a finalist in the McClelland Sculpture Survey and Award and the Woollahra Small Sculpture Prize, ISF Korea and numerous significant Public Art commissions that demonstrate a thorough understanding of materiality and site. This knowledge and understanding of site is being consolidated through his current PhD research that investigates the relationships and dialogue between form, the Public and site. Throughout his long established Public Art practice Braddon conceived, managed and created numerous projects for both private clients, architects, developers and Councils, where he has shown the skills and knowledge to work in collaboration with clients to deliver exciting projects that have a sensitivity and affinity with site and within budget and project brief parameters. Highlights include Landcom Vantage, Port Stephens, Sydney Wharf, Pyrmont and most recently Clouds Gathering, a large Public Art Installation for Maitland City Council. Braddon has earned a reputation for an astute understanding and sensitivity to materials that reveal a minimal aesthetic and equally rich in content. Proficient when he employs any chosen material, his most recent work interrogates a dangerously exciting and new method of inflating steel. This performative process developed whilst researching for the PhD gives his work a renewed freedom, where it reveals a delicate dialogue between control and chance that has been aptly described as Action Sculpture.